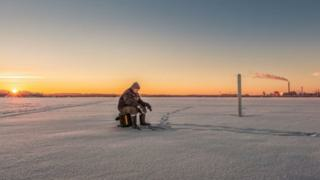 Estonia prohibits fishing on lakes from a certain date each year, because of the danger of injury or death if anyone should fall through the thinning ice. The cut-off this year fell yesterday, and rescue patrols have as usual found far too many keen anglers enjoying their hobby, oblivious to the risks they are running, Estonia's ERR public broadcaster reports. But this year the Rescue Board is flexing its muscles, warning fishermen that it will call in the police and border guards if they don't quit the ice. Refusal to comply can lead to fines. The authorities are concerned at their failure to raise enough awareness of the dangers involved, as 43 people drowned in lakes last year alone - eight of them in the spring months of March to May. But Mikko Virkala of the Estonian Rescue Board told Postimees newspaper that ice conditions "can change at any moment", and had a particular warning for anglers - "no fish is worth losing your life for". His warning was put even more bluntly by the Rescue Board's water safety website, which said "fishermen are prone to accidents because they assume their experience means nothing will happen to them". Raido Nagel, a volunteer rescuer in Lääne-Viru County, said the key to survival is "to stay calm - even though this is both the most difficult and most important thing. Try to get yourself back onto the ice, because if it took your weight before, it can take it again".